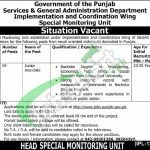 Get the recruitment offer from Special Monitoring Unit Punjab Jobs 2017 S&GAD Lahore Latest Advertisement. Special Monitoring Unit (SMU) established under Implementation and Coordination Wing of S&GAD invites applications to fill the mentioned post with highly motivated and result oriented individual domiciled in Punjab against the pots of (Junior Associate). Both male and female can apply for the above-mentioned position which is on a contract basis and will remain continues till the end of the project. Candidates willing to apply should relevant qualification and for this post the Bachelor's degree in Engineering, Economics, Public Policy or Social Sciences from recognized university is required and the applicants should possess the strong academic record with measurable achievements in Bachelor's degree is required with minimum 2 years experience in the public and private sector is required. Age limit should be 25-35 years. So, viewers if you hold above-mentioned degrees and looking to have a job in Government sector then it is the finest opportunity for you to hold it because once you are selected against this post then you’ll be able a to earn a handsome salary with fringe benefits. In the following, we’ll talk about how to apply procedure. All eligible government employees can also apply for above position through proper channel. The last date for submission of application is 5th October 2017. 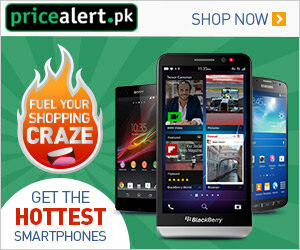 For more jobs please visit our site JobsAlert.pk on daily basis. Address: Head Special Monitoring Unit.